We told you about the Forza Motorsport 7 going on sale globally last week. And now it is another simulation car racing game, the Gran Turismo Sport that is in news. 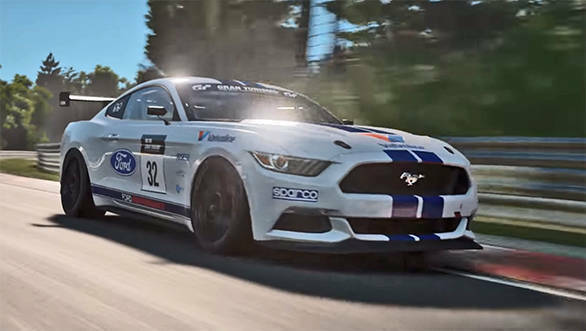 Polyphony Digital, the design studio responsible for the entire Gran Tursimo franchise has announced the debut of the Gran Turismo Sport demo that will be available online for all PS4 users, making it the first for the gaming station. Unlike other car racing games, Gran Turismo Sport demo does not to pre-invites or pre-orders to be played online. One has to simply download from the PlayStation Network (PSN). However, it should be noted that the Gran Turismo Sport demo measures 43GB, that's clearly a lot for a demo version. Interested participants can download it right away from the network, provided they have Sony's exclusive PS-plus online subscriptions. That's 18 hours before the non-members get a chance to test the racing game online. The demo of the racing game will end on on October 12 at 8:30pm IST. Sony has already announced some details regarding the different modes such as Sport mode, Campaign mode and Arcade mode wherein players can alter the game settings to suit individual preferences. In addition, the Gran Turismo Sport demo features a livery editior wherein one can customise the car to tweak the finer details. The launch date for the Gran Turismo Sport game is said to be October 17, 2017.